Q. Where and when can I attend a triyoga Kirtan class? triyoga offers evening kirtan classes with Nikki Slade in Camden, Chelsea + Ealing. Q. What can I expect from a Kirtan class? Kirtan refers to chanting – one of the main practices of yoga. Chanting is a form of meditation that is joyful and fun. Classic Indian instruments, such as the harmonium and drum accompany the chant, while simple Sanskrit mantras are repeated in a call-and-response fashion, from the leader to the group, building in energy and tempo. There’s no need to be shy as everyone’s voices blend together alongside the rhythm from the drums and the melody from the harmonium. Many people find it challenging to sit and meditate, but with Kirtan, the struggle of ‘turning off’ or ’emptying’ your mind melts away as you focus solely on the singing, sound, music and mantras. A sitting of the mind is an easy, welcome effect of this practice as well as a natural feeling of uplifting joy and inner peace. Q. Who teaches Kirtan classes at triyoga? Nikki Slade is the UK’s #1 western style Kirtan leader and a pioneering natural voice facilitator with over 25 years experience throughout the Americas, Australia and Europe. She has received excellent reviews for her 1-to-1 voice coaching in Vogue, Telegraph, Independent, Guardian and Daily Mail. Q. How long is a Kirtan class? Classes are 1hr 15mins long. Q. How much does a Kirtan class cost? 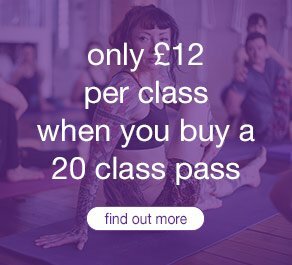 We would always recommend you book in advance to guarantee your place in the class, however 30% of all class places are reserved for drop-ins. Chanting is an amazing way of relieving stress and pressure – mentally, emotionally and physically. It promotes inner peace and naturally helps us be more productive and creative in all areas of life. Through chanting from the heart, we can begin to feel more open, receptive, energised and able to connect with ourselves and others. Ultimately, it opens the heart and an overwhelming connection to the universal power of love prevails. Chanting is empowering and strengthens our core voice, increasing confidence and self-expression. Many people who are anxious about public speaking or singing, or feel shy in social situations, say that chanting has improved their confidence and released their inhibitions. Chanting has a positive effect on our daily lives. We begin to experience inner freedom and greater energy, enthusiasm and zest for life.